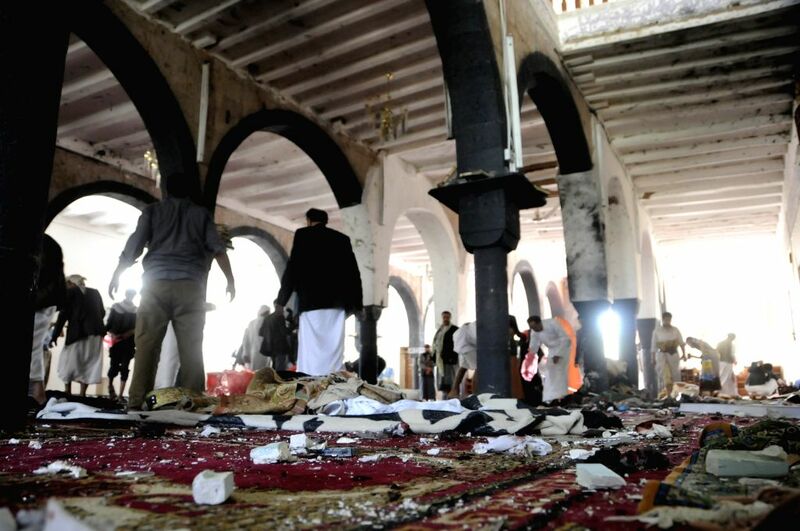 SANAA, March 20, 2015 - People clear a mosque after a suicide bomb attack in Sanaa, Yemen, March 20, 2015. 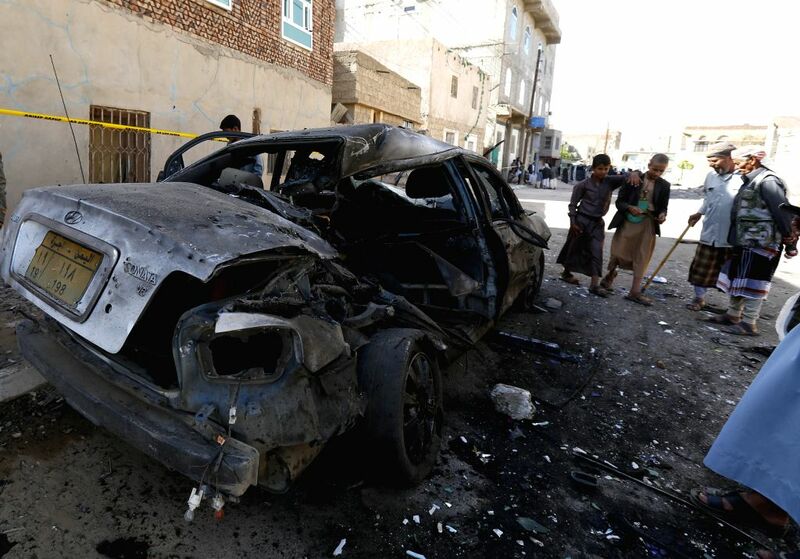 A total of 88 people were killed and at least 100 others wounded on Friday in four bomb attacks in Yemen, local sources told Xinhua. 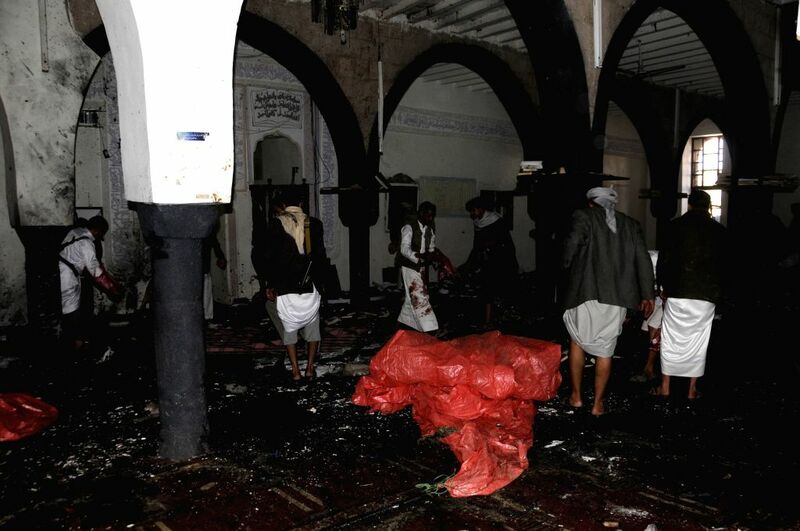 People gather outside a mosque which was hit by a suicide bombing attack in Sanaa, Yemen, on March 20, 2015. 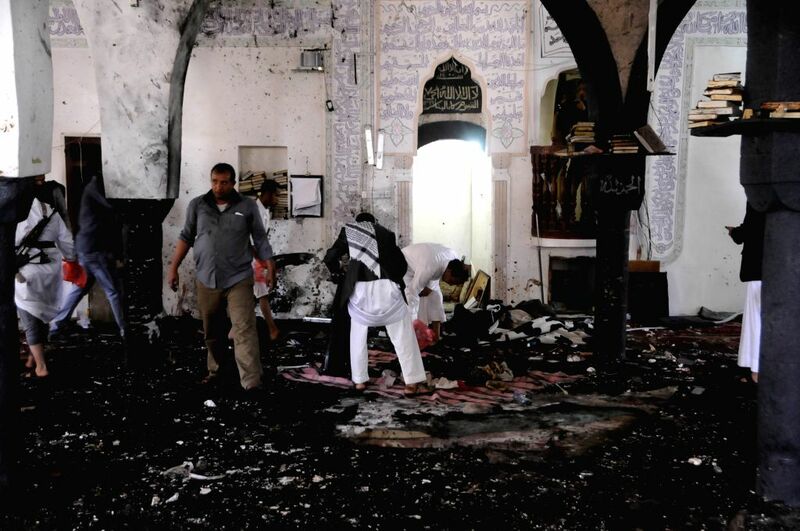 The Islamic State (IS) claimed responsibility in an online statement for three bombing attacks in Yemen's capital Sanaa and Saada province that killed 137 people during Friday prayers. 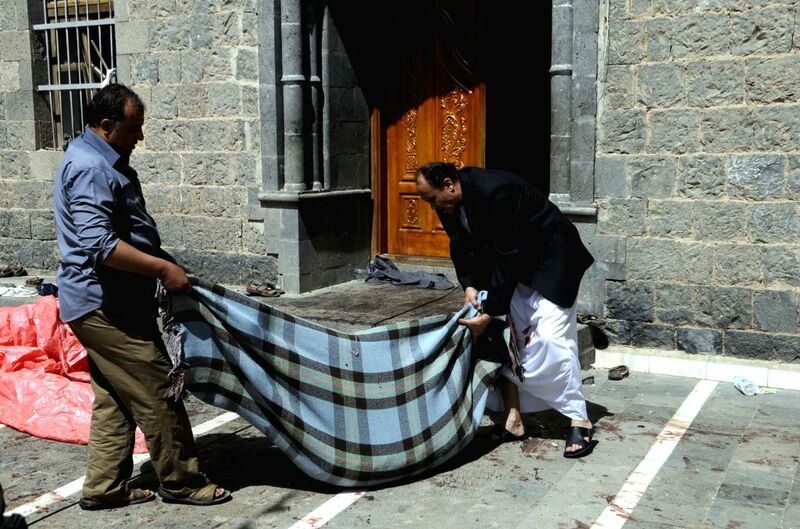 People carry the body of a victim at a blast site in Sanaa, Yemen, March 20, 2015. 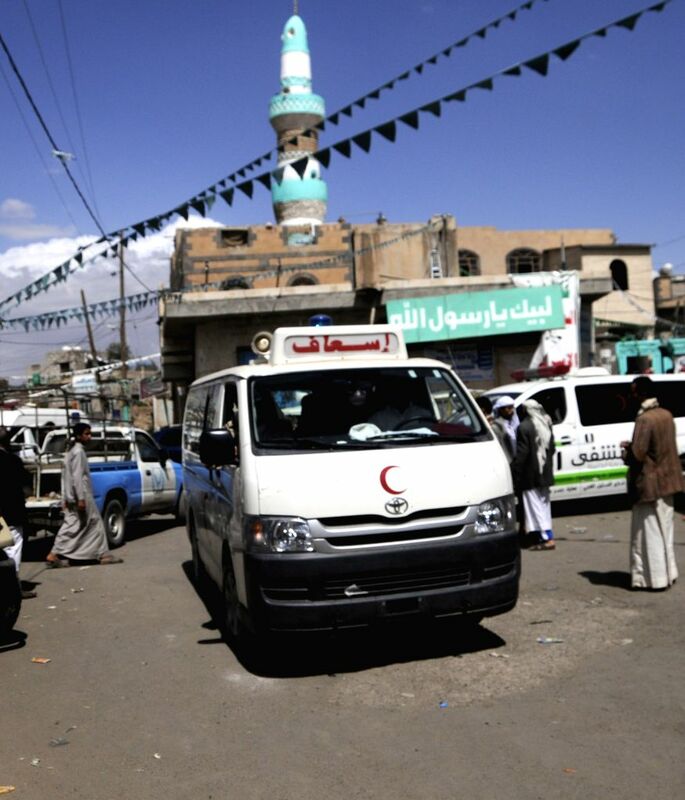 An ambulance arrives at a blast site in Sanaa, Yemen, March 20, 2015.